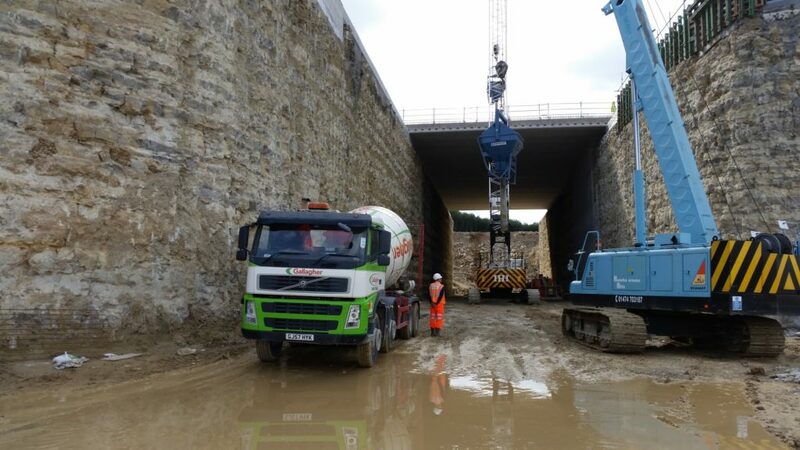 Hermitage Quarry, near to Junction 5 of the M20 in Maidstone, is one of two remaining Kentish Ragstone quarries in the UK and it has the capability to produce in excess of 1 million tonnes of aggregates per annum. 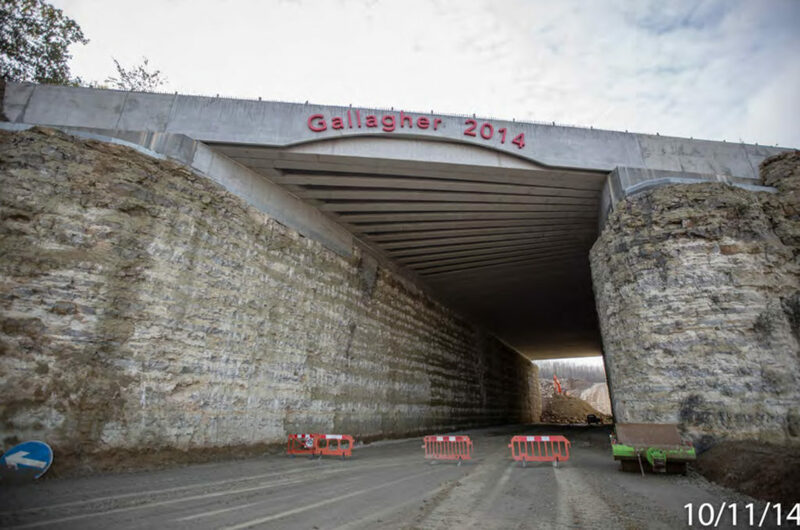 The Gallagher Group have owned and operated the Quarry for almost 30 years & employ over 300 people. 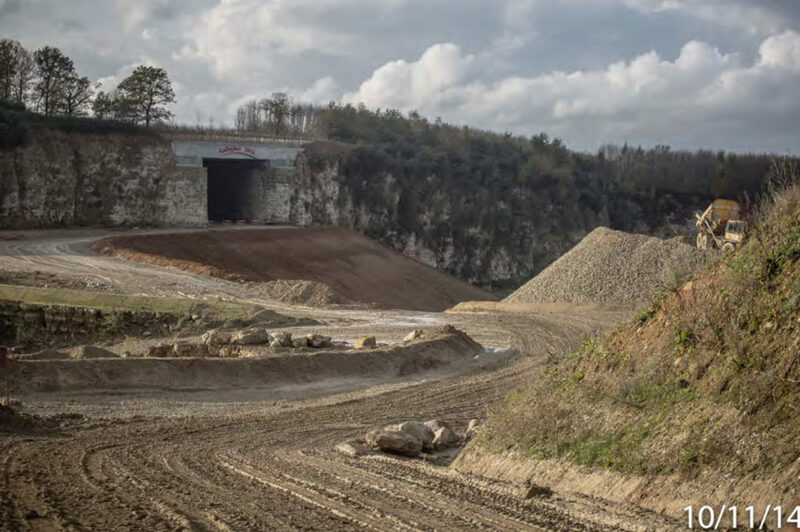 They applied for critical planning permission to create a tunnel to a new quarry site to ensure a further 25 years of production & to facilitate a stretch of gallops. Banagher Precast Concrete were contracted to design and supply the cut and cover structure. 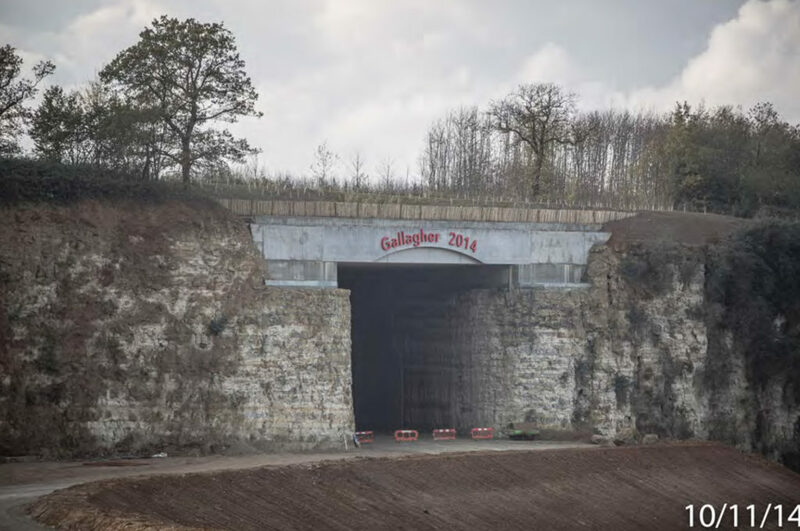 The tunnel is a unique piece of engineering, utilising simple techniques on a large scale. The rock was progressively removed by a sequence of controlled blasting and over 64,000 tonnes of broken rock was excavated giving the tunnel a clear span of 16 m and measuring over 100 m long. 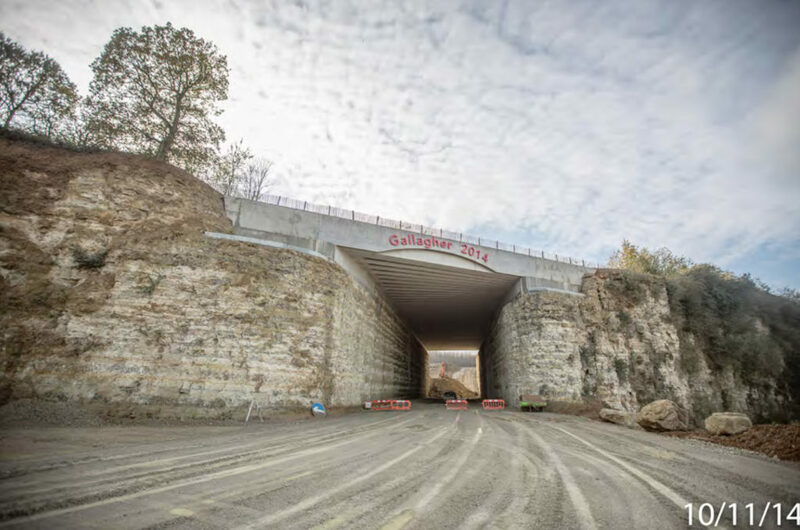 The original design called for an arch system & the client required the entrance of the tunnel to be flush with the skewed rock face at on end. 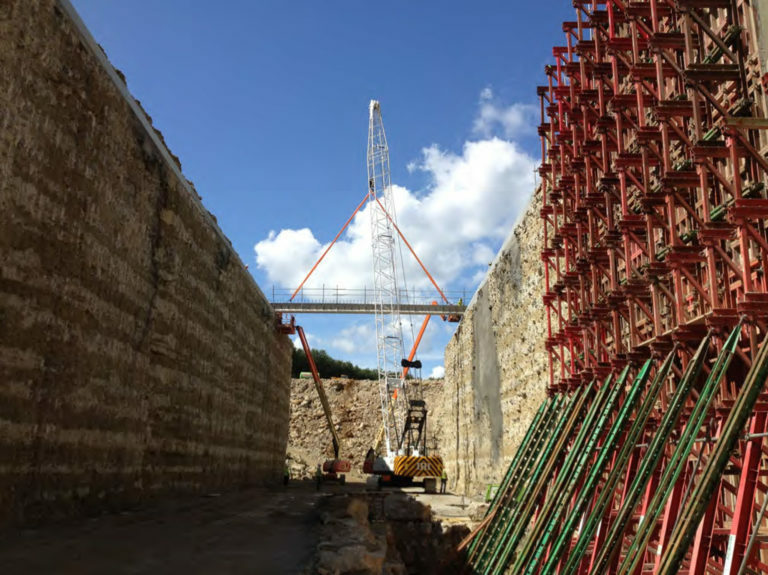 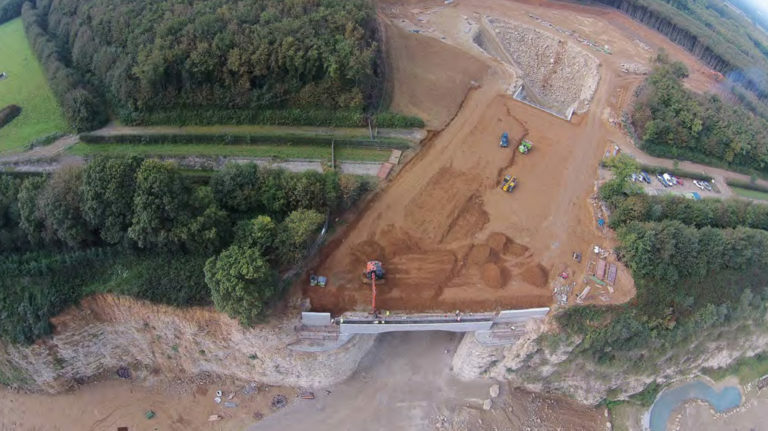 Our Engineers solved this issue by changing the bridge construction to a combination of solid slab TY beams & spaced Y beams with a top slab allowing the beams to fan out to match the increasing span which went up to over 24 m at the skewed rock face. 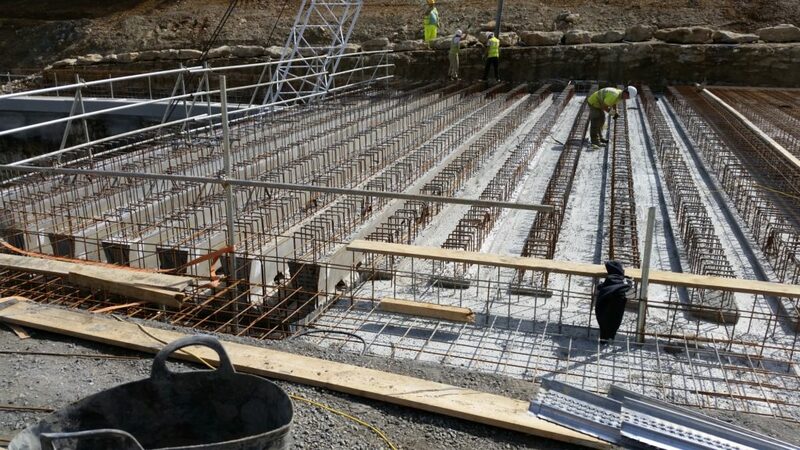 102 TY beams weighing up to 50 tonnes each formed the tunnel roof which was then reinforced with a 400 mm insitu waterproof concrete top slab and reinstated with 4.5 m of suitable fill. 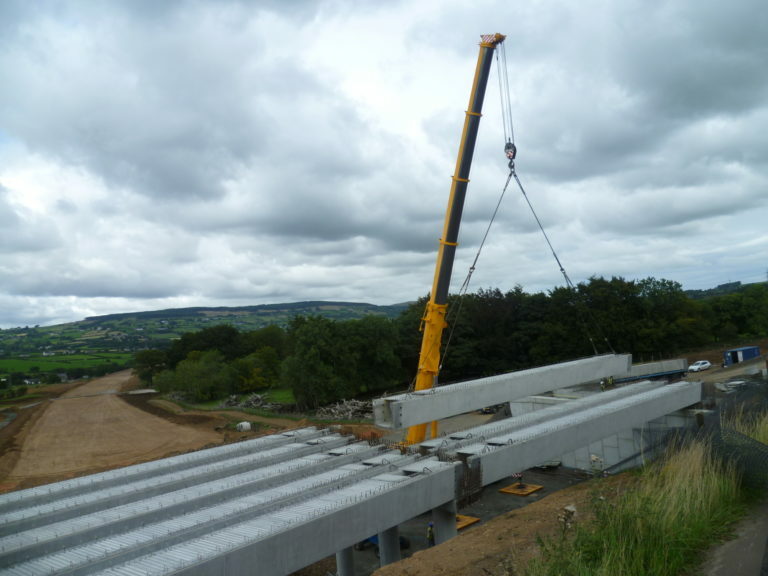 As demonstrated in the images the TY beams provided a safe working deck for the crew.